Magnificent Mayapur - An Enchanting Video ~ The Toronto Hare Krishna Temple! As the rising moon dispels darkness, spreading its soothing rays in all directions, so too did the Golden Avatar Sri Caitanya Mahaprabhu appear in this world to bestow infinite light, hope, and love. Day by day, the worldwide bhakti revolution He ignited accelerates, as the background noise of doubt and fear is drowned by the vibration of sacred mantra. 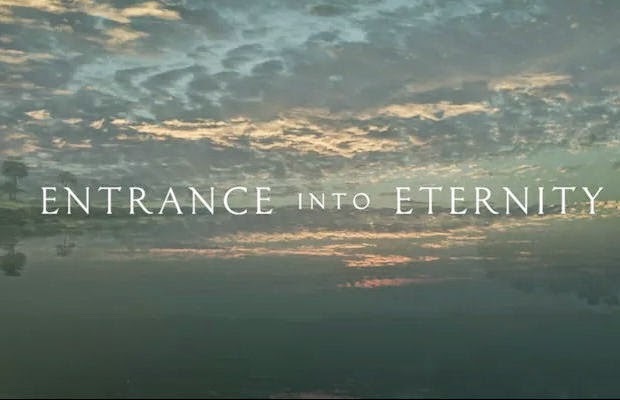 Entrance Into Eternity is a multi-part film series tracing this sankirtan movement back to its divine source, the epicenter of devotional ecstasy, the kirtan capital of the universe, Sridham Mayapur. In Mayapur, the sweet melody of kirtan is never far, and hearts are awakened to the sacred flow of mercy. Men and women, boys and girls, from all corners of the world, pierce through divides of caste and color to harmonize their voices and deeds in service to the Supreme. Some say Sri Caitanya was crazy. Some say he's gone. Others who know better still dance in His earthshaking kirtan, bathing in His limitless love and grace. Dedicated to His Divine Grace A.C. Bhaktivedanta Swami Prabhupada.